Los Angeles County is one of the most heavily populated counties in the United States. In fact, with a population of over 10 million, Los Angeles County has more inhabitants than the individual populations of 42 states in the U.S. The seat of the county – Los Angeles – is also the largest Californian city and the second-largest city in the country. 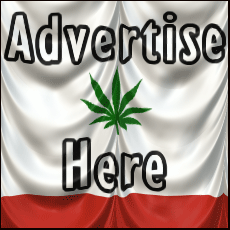 As in nearly all counties in California, medical marijuana patients – those who have been issued a state marijuana ID card – are legally allowed to maintain 6 mature plants or 12 immature plants and 8 ounces of bud. This law applies to caregivers as well, who are allowed to maintain a certain number of plants for every patient in their care. However, marijuana cultivation and processing by unauthorized individuals is an arrestable offense that merits a possible sixteen-month prison term. The sale of marijuana (any amount) in Los Angeles County is also an arrestable offense, for which the offender may be sentenced to 2 to 4 years in prison. If the marijuana is sold to a minor, the offender may be liable to a 3- to 5-year prison term. Individuals younger than 21 years old convicted of selling any amount of marijuana will also have their driver’s license suspended for a period of one year. Under California marijuana laws, residents of Los Angeles County may possess 28.5 grams or less even if they are not approved for medical marijuana use. Possession of marijuana in amounts of 28.5 grams or less is considered a mere civil infraction, meriting a $100 fine. In excess of this amount however, the offender will be liable for a 6-month jail term and a $500 fine. In May 2013, Los Angeles County residents approved Measure D, which essentially allowed three patients or their caregivers to maintain a three-patient growing collective. Although no limit to number of plants is specified in the local law, each patient or caregiver is limited to 6 mature plants under California law.